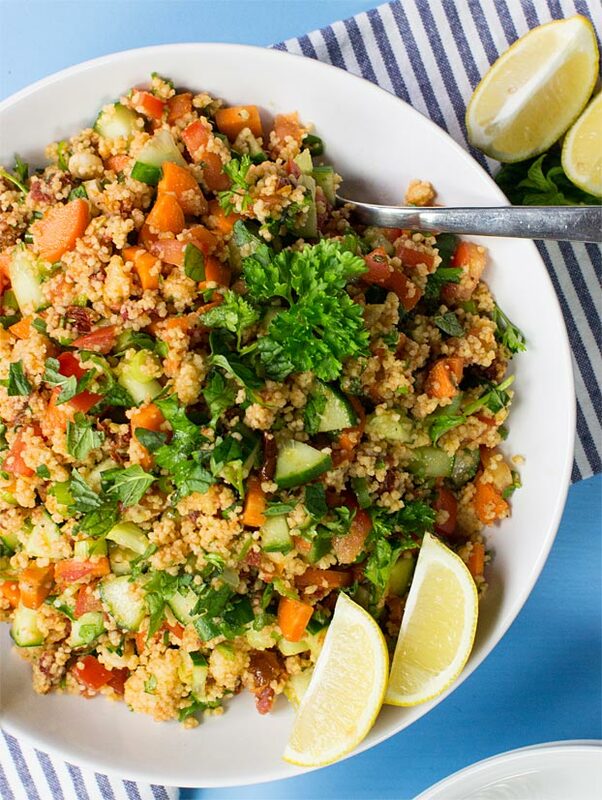 Tabbouleh salad, Tabbouli, or even Tabouli salad is a dish that’s becoming more and more well-known away from it’s traditional Levantine (Eastern Mediterranean) homelands, and there’s very good reason for that. Made from either couscous or bulgur and seasoned with parsley, tomatoes and a mezze of other flavours, it’s extremely tasty – and quick too. Tabbouleh salad is almost always vegan as well, (and certainly vegetarian) – which is more than fine with us, of course. Parsley is one of the main ingredients in this salad, and that can only be a good thing. 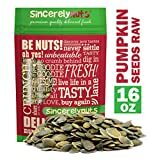 If you’re a fan then you know it has that fresh, lively and slightly bitter taste that really kick-starts the tastebuds. In fact, it kick-starts everything. For me, that’s the best thing about parsley – like any good team player, it makes everything around it work better. 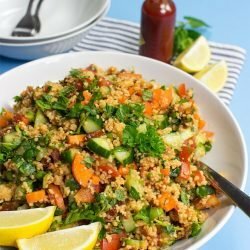 The flavours of the couscous, tomatoes and cucumber are all enhanced by the humble parsley, and the added mint offsets that hint of bitter, too. Perfect. Although not often mentioned in the same breath as ‘superfood’ (and that’s a good thing, stupid word), parsley is a surprisingly nourishing herb. Gaining ‘excellent’ ratings for its vitamins K, C, A, iron and folate levels, parsley is something we should all be eating more of, more often. Vegetarians in particular should always be wary of their iron levels, as iron from plants is harder for the body to absorb than iron from animal sources (nonheme iron vs heme iron). Luckily however, there are steps you can take to increase your iron intake – such as not drinking caffeine with your food (caffeine is an iron inhibitor). Conversely, eating iron-rich foods along with vitamin C enhances iron uptake – perfect then, that parsley has vitamin C in such abundance. 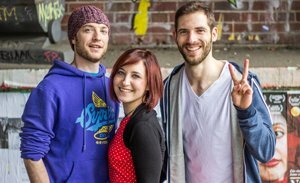 By the way, if you’ve been thinking about going vegetarian but are worried about potential health issues and don’t know where to start, then check out the 30 Day Veggie Challenge. It’s also good for vegetarians who need a little more inspiration, or reassurance, in their lives. 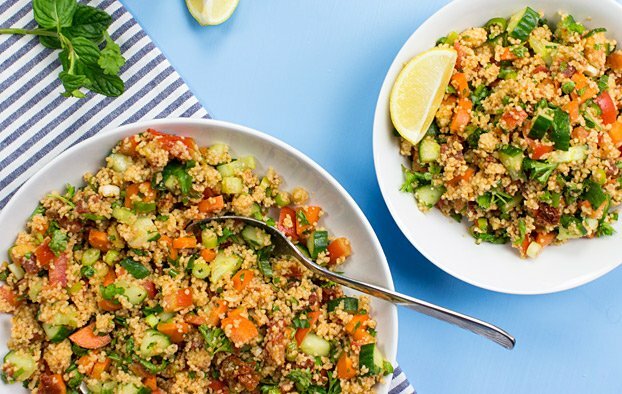 We chose couscous for our staple in this Tabbouli salad as we love the instant variety. It’s SO easy to cook with, and we highly recommend you do the same. 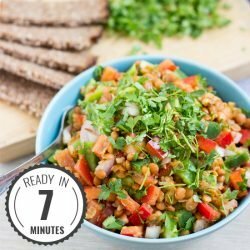 Instant bulgur can also be found, and it usually just takes a few minutes longer to cook. It’s slightly harder than couscous though, and we find the softer grain works best in this fluffy salad. Your call! Whichever you go for, rest assured you’re in for a treat! 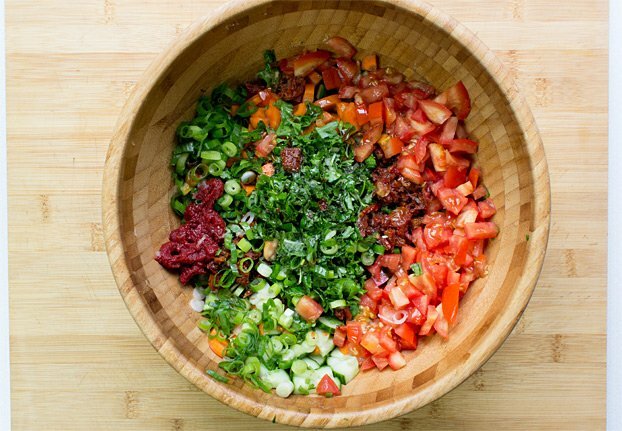 Colourful Tabbouleh Salad - bring Mediterranean flair to the table or into your lunch box! 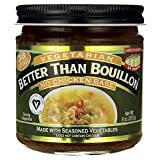 Ready in just 15 minutes, vegan and super tasty! 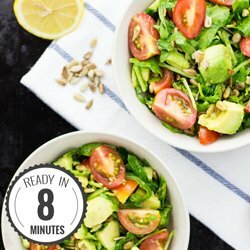 The salad tastes best if prepared a few hours (or even the day before) but don’t be afraid to make it at the last minute if you don’t have time to prep ahead! 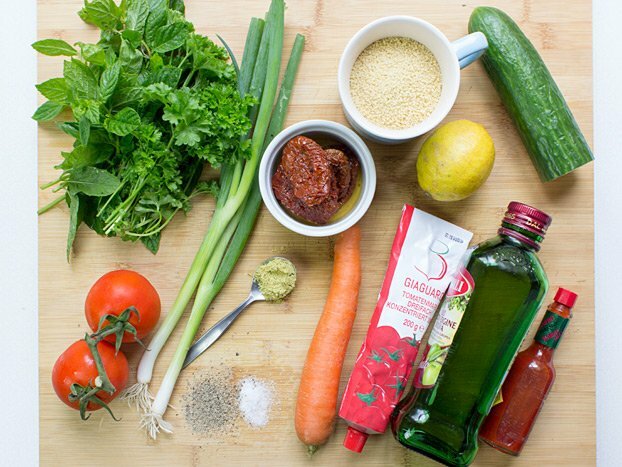 Cook the couscous by packet instructions, using vegetable broth for tastiest results. 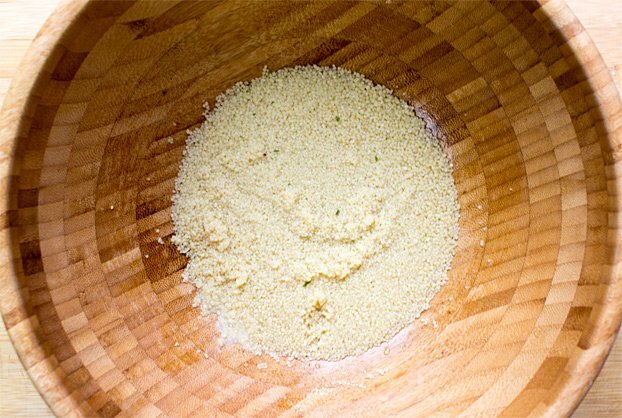 Here’s a foolproof method to get instant couscous just right: add the couscous to the salad bowl. Now pour hot vegetable broth onto it until the couscous is just covered. Lay a tea-towel over the top. After 3-4 minutes give it a little stir to make it fluffy. Cover again for 1 more minute. In the meantime, grate the carrots and dice the cucumber, onions, tomatoes (fresh and sundried), mint and parsley. 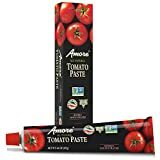 Mix the lemon juice, tomato paste, olive oil, salt and pepper, tabasco sauce and chopped and grated veg and herbs with the cooked couscous. Give it a good stir and boom! Good to go! How easy was that?! 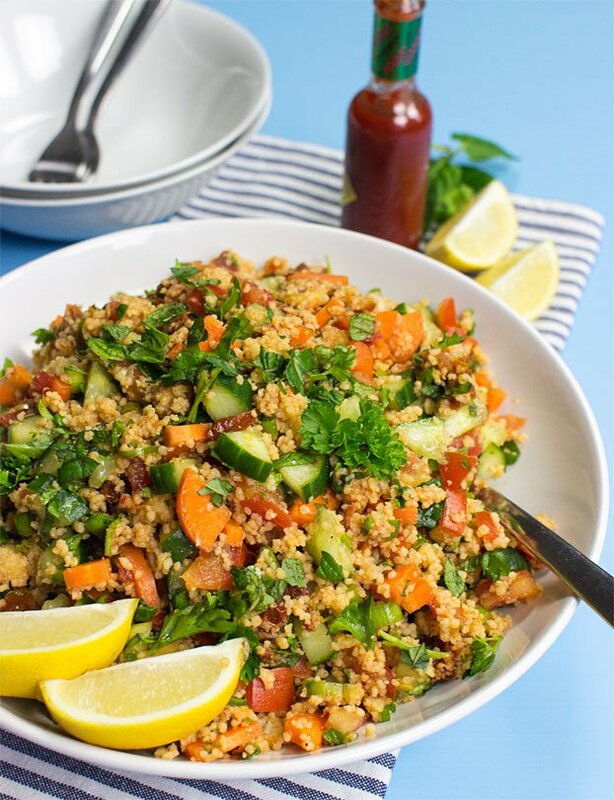 IF YOU LIKED THIS RECIPE: Then you should definitely check out our other beauties like this incredibly tasty Thai Quinoa Salad or this Moroccan Couscous Salad. You’ll love all of them, we promise! 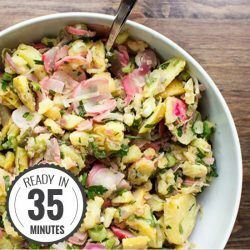 This recipe is perfect to take in a container for lunch. Every bite is just soo fun to eat. Hey ! I found you through Foodgawker and must say I am so in love with your recipe thumbnails.